That’s the killer question, right? As ever, whilst it’s the question everyone wants to know so that they know how much to save, it’s the hardest one to answer because spending habits are so individual. For example, I’d much rather get out my camping stove and do a homemade curry with a bottle of wine as opposed to a fancy restaurant. 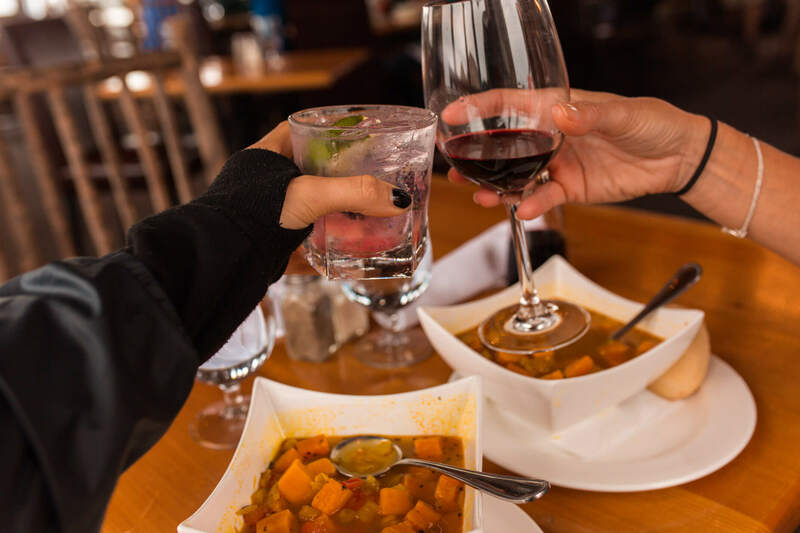 There’s nothing wrong with fancy restaurants of course – I love them – but I certainly don’t have an endless pit of $, so I personally prioritise adventure and nature experiences over fine dining. 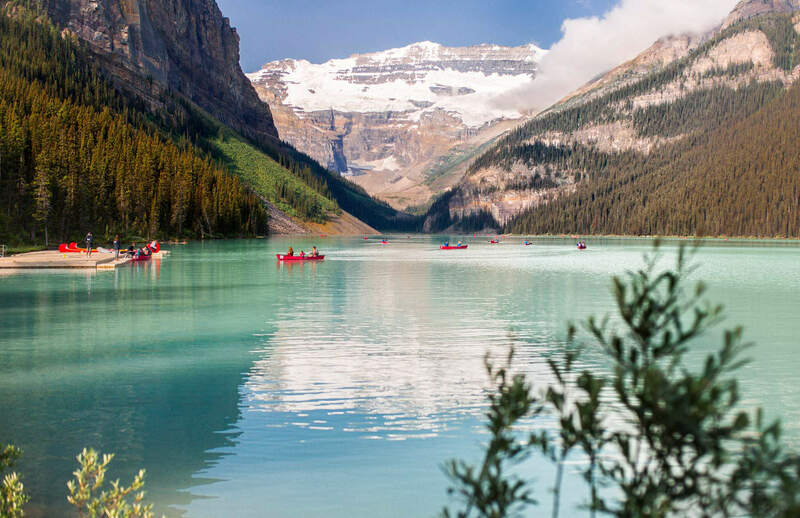 Regardless, having just done a 6-day road trip here in the Canadian Rockies myself, I can predict a number of activities and expenses that you will come across during your road trip and I can help you estimate your expenditure. Calgary Airport (YYC) is the most conveniently located airport to access The Canadian Rockies from. You can fly directly to here from London, LA, all over the states, and other major international airports worldwide. Check your flights on SkyScanner here. We rented a car for our 6-day road trip. We picked it up from Calgary airport when we landed and dropped it off before our departing flight. Super easy. 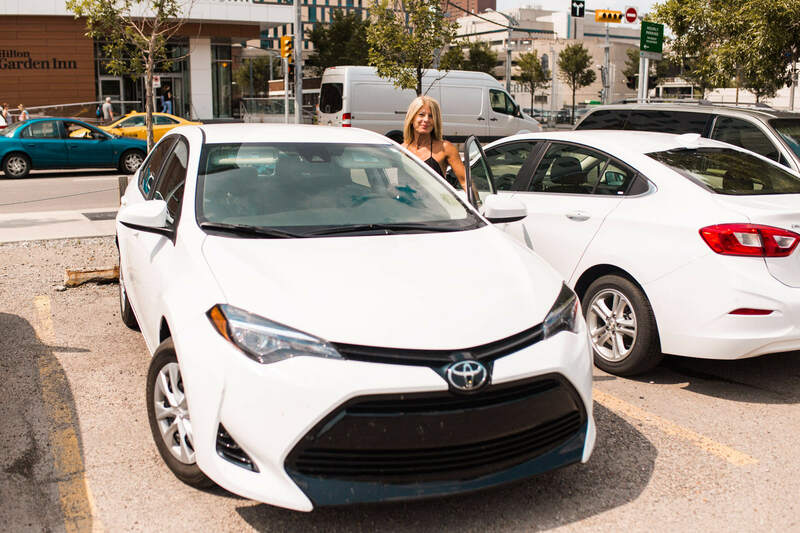 If you aren’t keen on getting a car, you’ll either want a camper van (very, very popular option here in Canada) or you’ll be racking up a pretty big taxi bill. Public transport isn’t going to make your road trip easy. 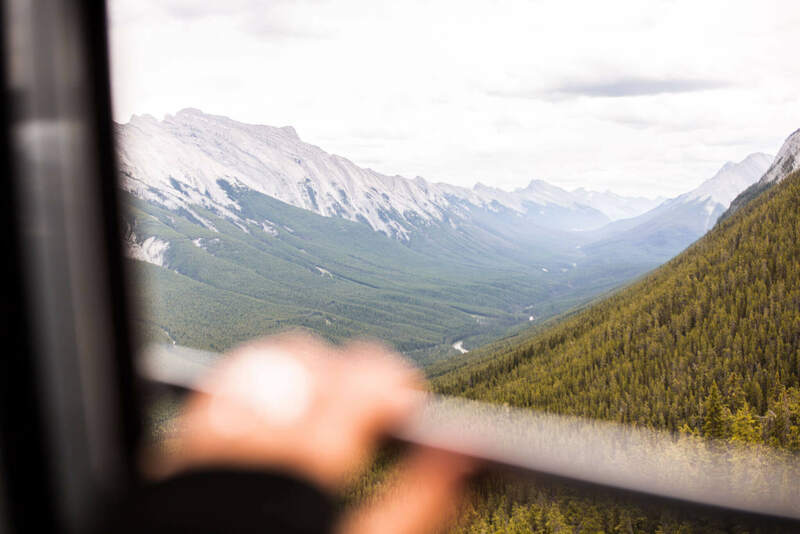 There are buses and shuttles between Banff and Calgary airport (check the schedule and prices here) There are far fewer connections between Jasper and Calgary; a quick search came up with about one a day from Sundogs and Brewster. I don’t actually know what these are like, though. 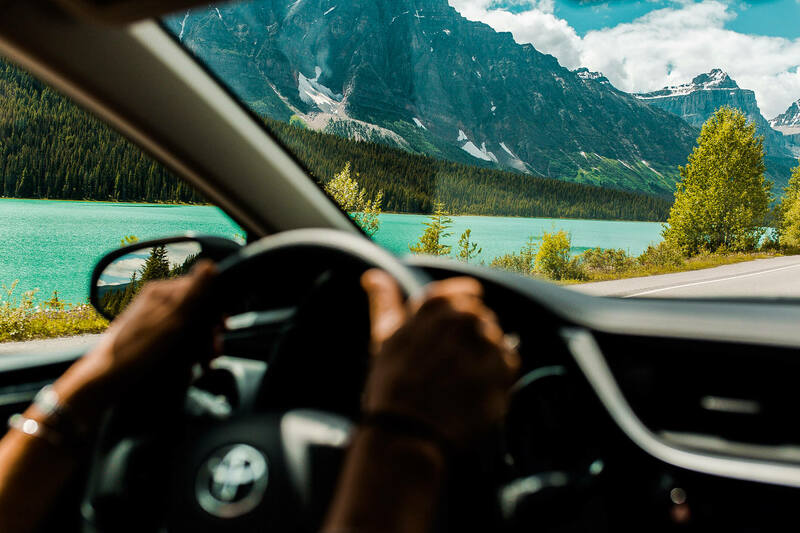 Regardless, to obtain the freedom and all the adventure that a road trip can bring – you’ll want to cruise in a vehicle of your own, which is exactly what we did. Check out Camper Van rental prices here or here. Price included local tax, an additional driver and a £120 (£20 a day) surcharge for an under 25 years-old additional driver. Note: We didn’t pay for the extra car insurance to reduce the excess costs of any damage/repairs, but of course it’s always recommended. Accidents happen! Average cost of car hire: £60 a day. Of course this depends on the car you choose and whether you get add-ons like a sat-nav, etc. Fuel: $90 for a fill up ($2.019 $/L). Top tip: Whatever card you book with online to make the reservation with Budget MUST be the one you have with you to pay with when when you pick up the car. Trust me. We had the BIGGEST kerfuffle. Park passes are often misunderstood when it comes to visiting The Rockies. I certainly had no idea how they worked before going. Basically, every vehicle that enters the national parks here, will need a purchased pass displayed in the window. That’s regardless of if you’re stopping by for lunch, stopping for a picnic or staying for a week. Pass fees are calculated by the number of people in the car, so for my mum and I it was $9.80 for each of us, each day we were in the park. So each day we paid $19.60 in park passes. Note: If you’re visiting both Jasper and Banff National park in the same day, you don’t need two passes. One pass covers all. There’s an awesome article here that will answer all of your park pass queries. This one’s a sore subject. If you’ve read any of my travel guides before, you’ll probably know that I’m a ‘make it up as you go along’ kinda girl when it comes to road trips, a ‘let’s just be spontaneous’ kinda girl. I tend to book Airbnb / booking.com locations pretty much as I cruise up the hotel driveway. It’s no surprise that in The Rockies you don’t want to arrive with this approach in mind, particularly not during peak season, which is exactly when we headed there. However, no one told me that… hahaha… and I hadn’t done my research… hahaha… (it was a personal trip that I wanted to leave open with no agenda). Top tip: when planning a road trip in the Canadian Rockies during peak months, be sure to book up accommodation ASAP. Top tip: to save £25 on your first AirBnb booking, click here. I’m not actually sure how much cheaper accommodation is when you book in advance, but I guarantee you’ll be saving something and you’ll get more choice in accommodation too. Honestly I’ve never been on booking.com before and seen all accommodation completely sold out, sold out, sold out, sold out. We had to drive around and literally take whatever we could find which meant jumping out at every hotel and checking at reception. We turned down (and laughed) at the $300-500 quotes we were getting for basic rooms per night, but after a lot of driving and a realisation that it was getting no cheaper we sucked it up. 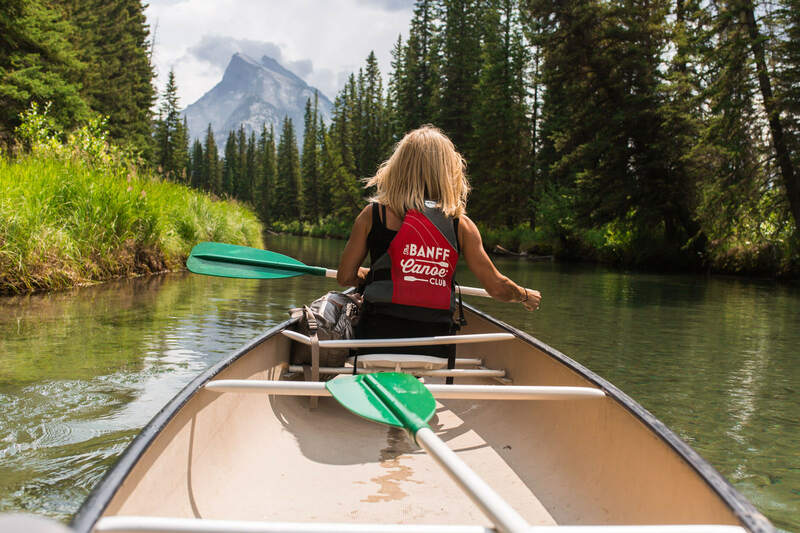 Banff canoe hire: $40 per boat for the first hour, $20 per boat per hour after that. 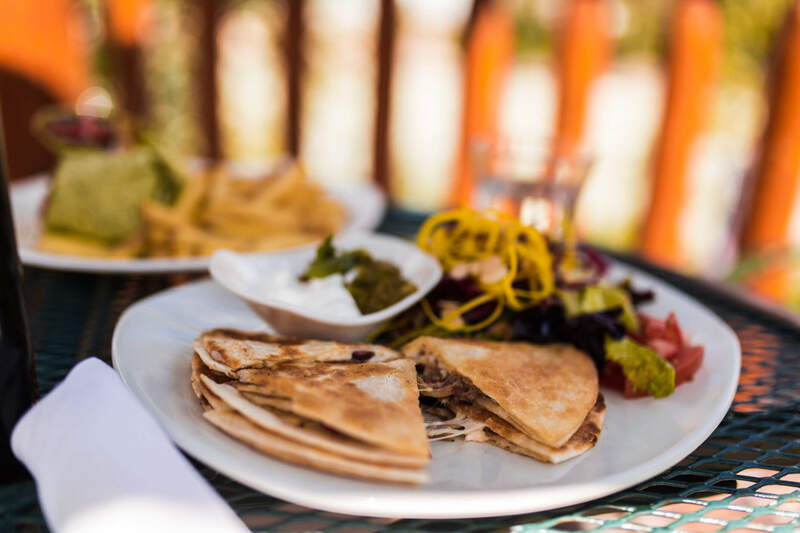 On average to dine in a restaurant you’ll be looking at $10-15 for a meal. Not badly priced at all. You’re probably going to spend $4 ish on a cup of coffee and $10-14 on a cocktail / glass of wine, too. Have you been to The Rockies?